You Can Beat The Little Blighters! If termites concern you, we offer a range of products that can help you to find and destroy termites both in your yard and in your home. Obviously, the best place to intercept and eliminate termites is outside your home BEFORE they get in. 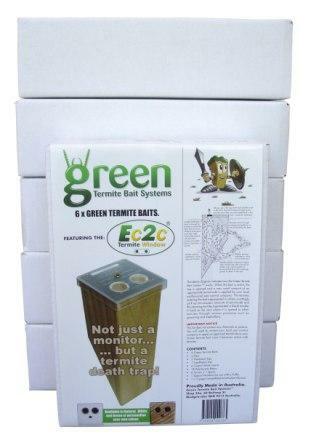 The Green Termite Bait System does just that, but unlike many other monitors, the Green System ALSO gives you a strong chance of killing the termite nest using only a couple of grams of an approved termiticide. Are you concerned that you may have termites already in your home? 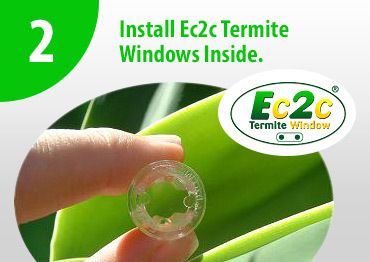 Then our easy to install internal monitors called Ec2c Termite Windows should interest you. 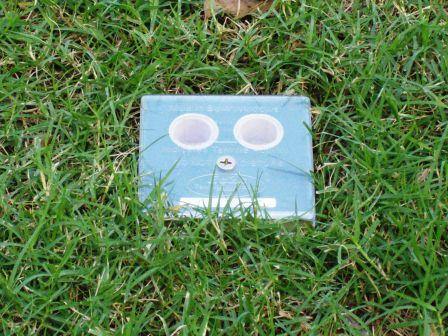 Maybe you'd like to be able to check your home and yard for termites and save money on termite reports? Then our popular 136 page D.I.Y. 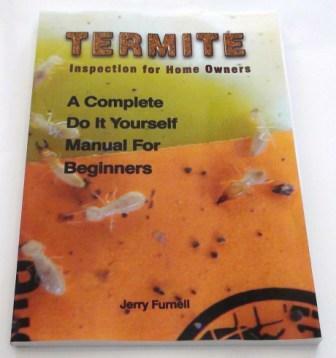 Termite Inspection Manual for Home Owners might interest you. See us on TV; DOWNLOAD then watch by clicking here. Are you aware that statistics from the Department of Primary Industry indicate that one in three Australian homes nationally will suffer from termite damage during the life of the home? With odds like that it's no wonder that general home insurance companies refuse point blank to insure your most valuable asset against expensive termite damage. So... What can you do to reasonably reduce the risk of termites getting into your home? Some pest control companies will tell you that you "must have" a full perimeter treatment at a cost of around $2,500 - $5,000. Yet it might not be the best solution or even practical. Next you'll be told about the need to cut or drill through all your concrete, paths, pavers, tiles, patios so that the chemicals can be applied to a trench surrounding your home. Great! Just wonderful! And since you are not advised about any other choices you go ahead. What they don't tell you is that the tell-tale signs of a full treatment will, in all probability, devalue your home to a prospective purchaser by up to $10,000. Real estate agents refer to the drill holes in the concrete around your home as "the ring of death" ... the death of the sale and their commission. Not only that, but your expensive treatment is biodegradable so it wears out and will need to be done again in years to come. However, there is one great redeeming factor about this form of termite risk reduction... It can work very well for up to 10 years depending on how well the job was carried out in the first place. But beware, a poorly installed treated zone may not work at all, and if a "cheapy job" doesn't work, it may end up costing you far more in the long run. TIP: If you do decide on a perimeter treated zone, make sure that you choose a very professional company to carry out the work and ask for the best termiticides available. Do you already have termites in your home? If so, you have left it too late to consider termite prevention. You need a direct termite treatment and so you may have no real choice but to travel down the termite treatment path described above. Maybe all is not lost... There are other choices that might solve your problem which we are happy to discuss with you. Please phone 1800 6 12345 to arrange for one of our skilled termite technicians to come out and see you. Maybe you have found termites in your yard, in your garden mulch, in your fences or retaining walls? Maybe your neighbour has termites and you don't want them coming into your house? Then (luckily) you have been warned! Ignore this early termite warning at your home's peril. No one can afford to rely on luck to avoid termites, whether you find them in your yard or not. You insure your home for fire, flood and theft. You'd be crazy not to. Yet termites do more damage to homes than fire, flood and theft combined! It's a war. Termites don't care if it's your home. They just see your home as their dinner. But now you have a chance to destroy their home before they get stuck into yours. You are in the right place, at the right time to do something pro-active to reduce the risk of termites making a meal of your home. Affordable modern termite risk reduction is available here and now. 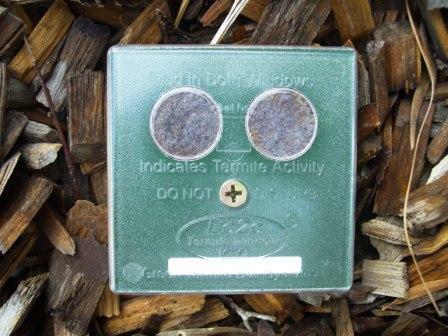 It's a unique termite bait "system" called the Green Termite Bait System which incorporates the amazing Ec2c Termite Window. 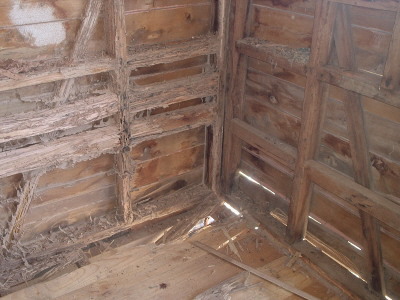 It can save you from thousands of dollars worth of termite damage. Simply pop your baits in around the house. Spot the intruding termites in the Ec2c Termite Window. Active bait is mudded up. Contact us or any local pestie to call out and apply a registered termiticide to the bait. Now it is the termites who have to worry! In most cases, they will inadvertently carry the termiticide back to the nest, then unwittingly spread it around and destroy the whole nest. A proven method to greatly reduce the risk of termites gaining entry to your home with a superb success rate, tested and perfected since 1996. It will improve the value of your home from the day it's installed¹ . In fact, over time it should pay for itself many times over. It's very affordable with many FREE¹ inclusions. Can be serviced easily by any licensed pest control company in Australia. Suitable for several termiticides including, Termidor® , Intrigue® , Premise® . We offer an All-Inclusive "Full Service" option with a guaranteed lifetime new for old bait replacement warranty¹ or a D.I.Y. option with a 12 month new for old bait replacement warranty. It comes with an iron-clad 30 day fair and unconditional money back guarantee*. We provide you with a special Service History Book² that is updated every month by our fully trained technicians. Our system keeps you positively informed at all times about your bait system's progress. A service record page is also in the back of the D.I.Y. easy instruction manual. Your Service History Book² will prove to be a BIG plus - adding extra value to your home should you decide to sell. You'll have greater peace of mind knowing that you have the added security of this highly effective pro-active approach to termite management working 24/7 to increase protection around your precious home. Thousands of homes already have the added protection of a Green Termite Bait System. Please check out some of the hundreds of testimonials we have received. Just click here. ¹ Subject to correct installation, monthly service and maintenance by our licenced technicians - Available with our great value, full service option - from $95.00/month for Monitoring (most homes); plus a one off charge for Baits & Installation. - selected service areas only. ² Only available only with our all-inclusive full service option. 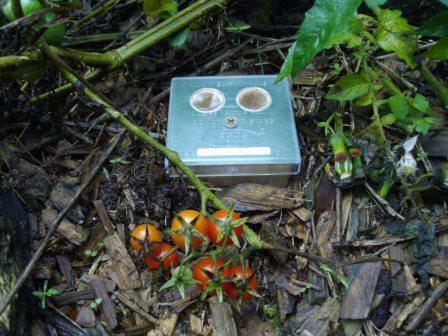 *Less costs incurred by Green Pest Control or Green Termite Bait Systems. Only our fair costs will be deducted. For example: Postage, installation charges, or additional labour. We pride ourselves on our integrity. We promise to treat you with complete fairness and honesty. Seriously, you will love the product, so it's unlikely that you'll want a refund. But... If you do, we'll take care of you. Please remember that our distributors are independent pest control companies and may choose to offer different terms and conditions. We welcome you to our sister site and invite you to explore it in depth. If you've got termite concerns... this is where you'll find answers that make sense. All prices can be found on this site. Please grab yourself a tea or coffee and dig in to this site - you'll be glad you did. Click here to learn more about "Winning the war against termites. "